The 2018 Black Diamond Easy Rider Via Ferrata Kit is a smooth-clipping via ferrata setup with a unique lock/unlock mechanism for perfectly smooth and efficient climbing on via ferrata. 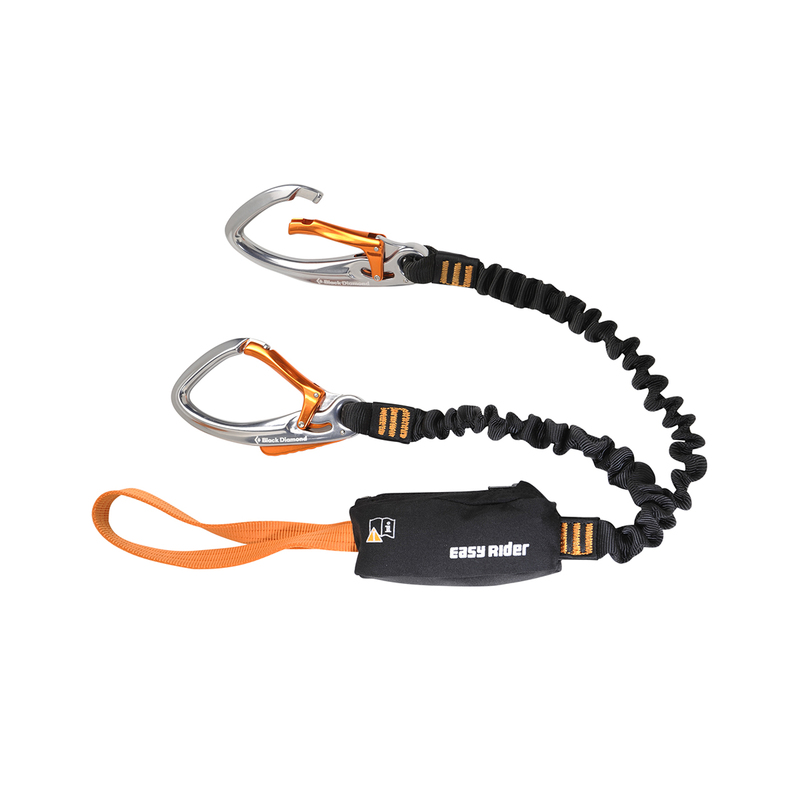 The Black Diamond Easy Rider Via Ferrata Kit includes two Easy Rider carabiners that have an automatic locking mechanism and lock release that operates by pressure with only one hand, an energy absorption system that limits load impact in case of fall, extendable bungee-style lanyards, and a webbing loop that girth hitches directly to the harness. 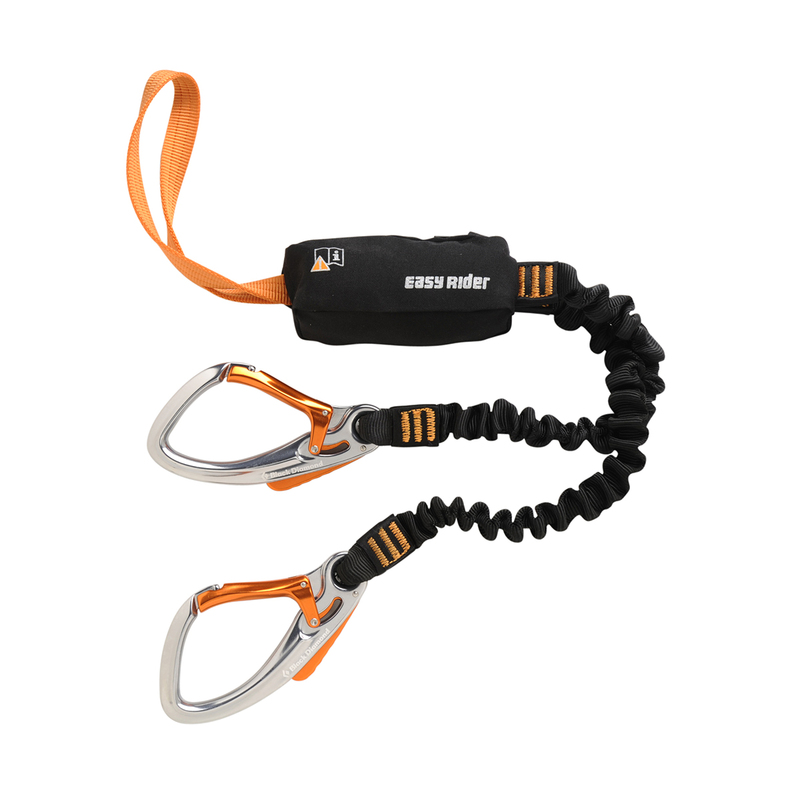 Two Easy Rider carabiners with automatic locking mechanism and lock release by pressure. Shock system reduces the impact in case of a fall.